and the fishin' is good! Brooklyn Living is the the website for Brooklynites and visitors to discover the rich cultural roots of our city and its understand how it is changing into the middle of the 21st century. 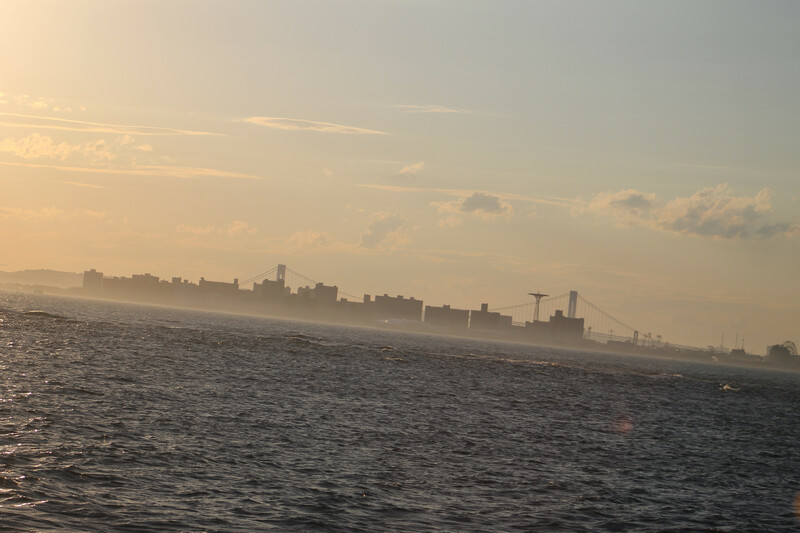 Brooklyn is a seaside town and fishing has been a key part of it's culture from the time of the Native American tribes. like Ole MrBrklyn here. Summer is great for fishing and the entire water front. and my favorite boat of late, the Marilyn Jean IV. Stella Maris Bait & Tackle is the main bait and tackle shop that I use. Blackfish Season has begun, and just in time the temperaature is dropping although the water temperature is still unseasonably high. Get ready for the Striped Bass and Blackfish seasons as they launch. 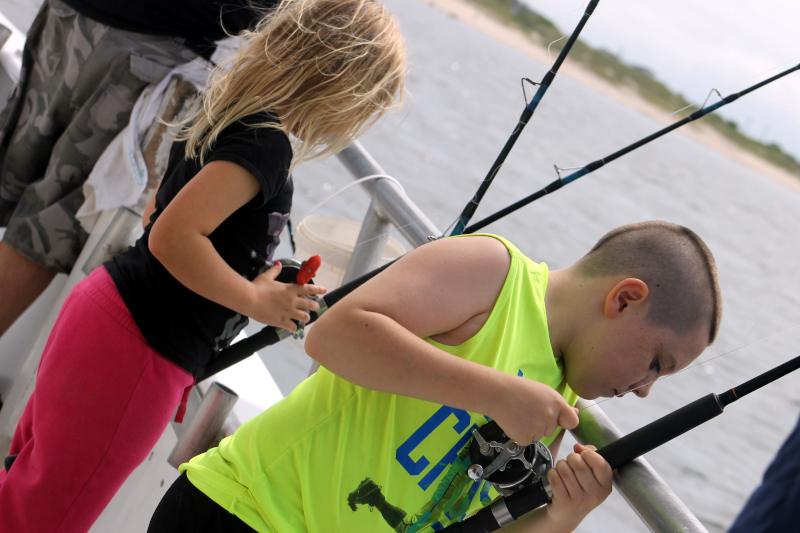 The Marilyn Jean, Ocean Eagle and Captain Dave are all hitting Blackfish and Porgies. The Brooklyn is hitting Albies, and Blues. 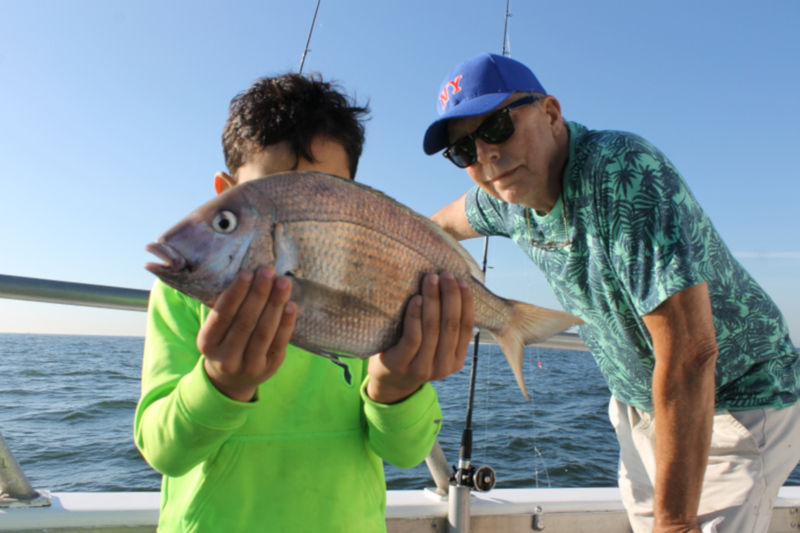 Porgy Fishing this October has been steady on. Here is little Anthony filleting the night catch on Sunday Night October 14th. 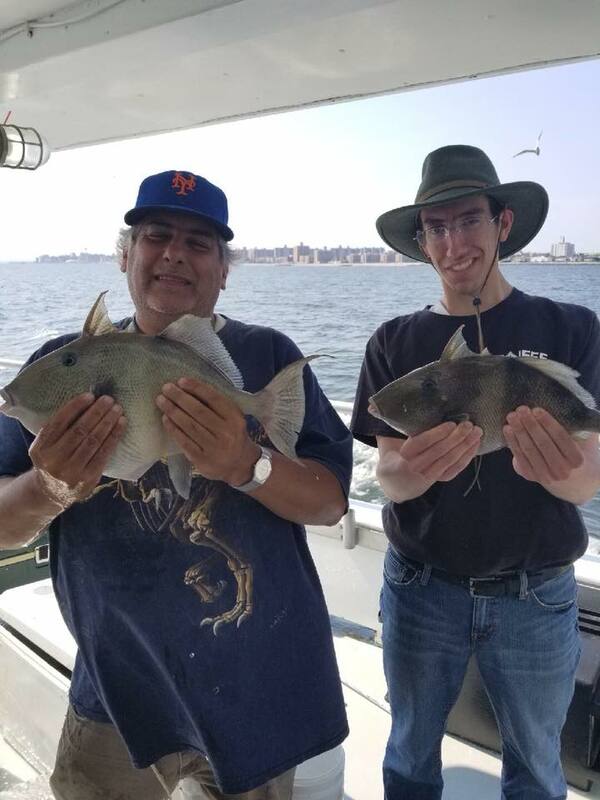 My son came into Brooklyn Friday for the first time in many years, so we went out a caught some fish on the Marily Jean IV. We pulled in between us 60 porgies, and then we took a knap. We woke up a half our later and I pulled out my rig as the captain searched around for some sea bass around Coney Island, and then WAHMM!!! Fishing for porgies I was using 20 pound leader tipped with gamakatsu 1.0 circle hooks. They are a little large for porgies, but I thought they might help pull in a stray sea bass. I'd lost a few hooks are what I thought was a huge shark. I was wrong. This time I dropped the drag and let the fish pull out. The fish tired and I finally brought in the biggest trigger fish I had ever seen. And that was just the bigging. 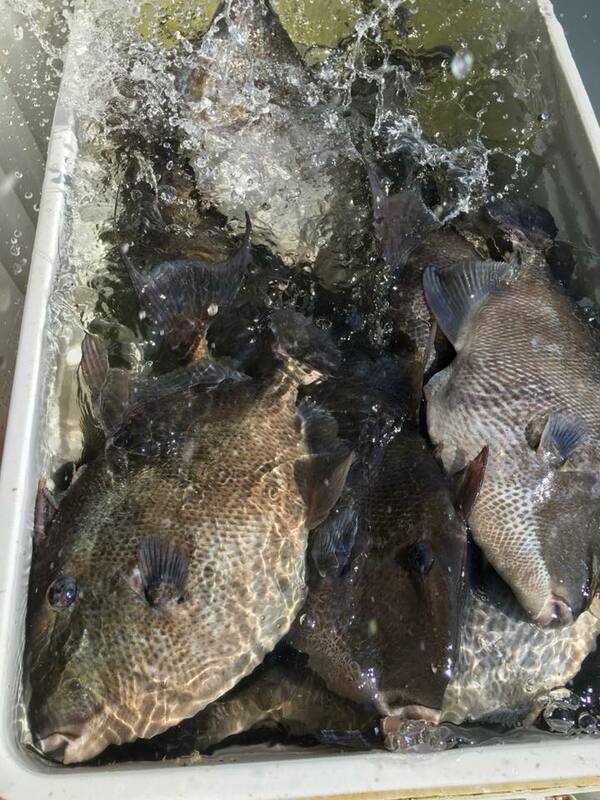 Over the next 45 minutes will killed the trigger fish, bringing in well over 60 of them, many of them the largest I'd ever seen. I pulled in 19 of them myself. 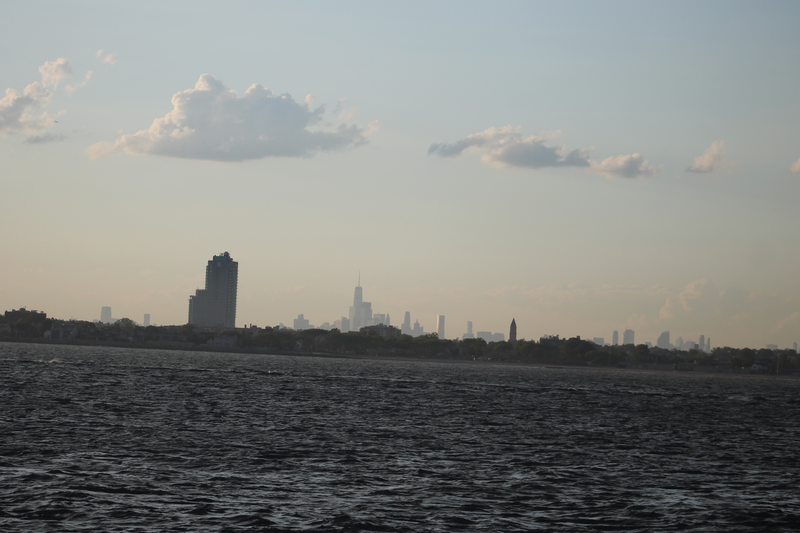 Unfortunately I left my camera at home but these are a few pics that the boat took. On June 30th, this last Sunday. I headed out to the days at 4AM and waited for the boats to fill. And fill up they did. Word have gotten out that the Porgies on on parade. The rails on the Marilyn Jean IV were packed. 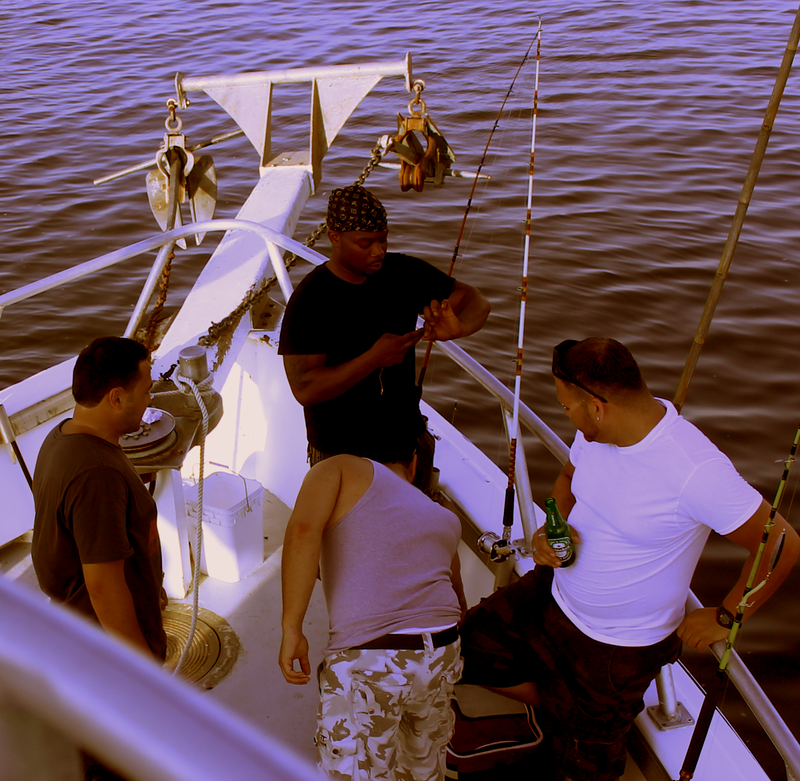 When we left the dock, we had over 60 passangers and my favorite spot on the boat was surrounded ny weekend warriors. Instead of squeezing on the rail, I took a nap for 2 hours and then woke up to see a boat overloaded with fish. The mates were being run into the groundfixing tagles and cleaning fish. I took a position on the bow and couldn't help by give a hand, which made the weekend wariors and first time fisherman happy. 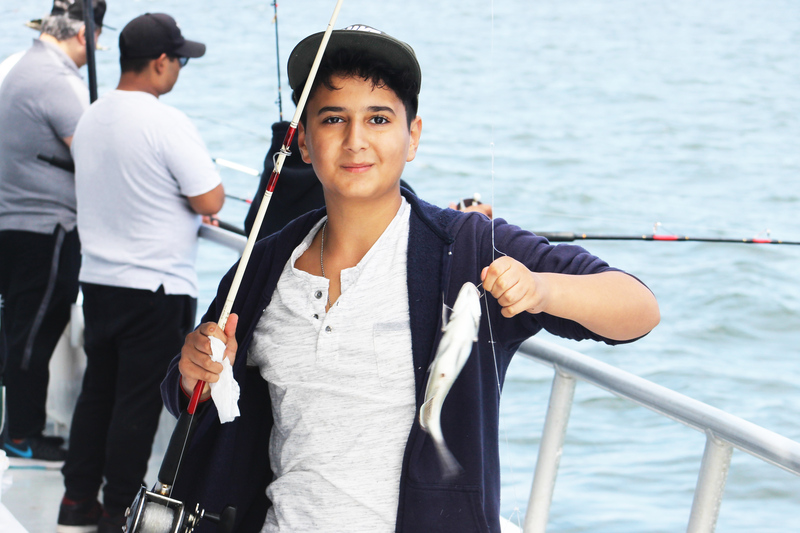 I also had a chance to pull out my camera and the entire Sheepsbay Fleet was on the water and catching fish. I got great pictures of the Brooklyn, Ocean Eagle and the Captn's Lady. Everyone was having banner days. These are the days that you will be talking about when your an old man. I just spent a full day, morning (July 16th, 2018) and evening of fishing on the Marily Jean IV. The morning trip had huge thunderstorms which allowed me to catch a ton of porgies. This morning trip was one of my great trips on the water, with these four young folks, racking up on their first trip, huge numbers of fish and a prize Sea Bass. The night time 7 to midnight trip was likewise productive, although without the thunderstorms. because life moves on quickly, and you should milk it for all that you can. Just ask Elias! Elias Showing Off His Fish!! In light of these changed, our local captains have made some adjustments to their regular schedules. 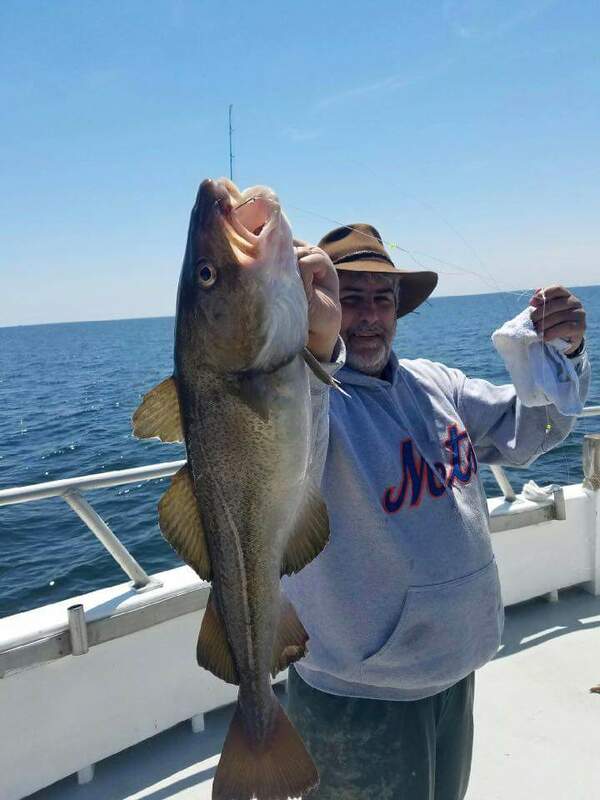 Captain Dave will continue with 9AM - 4PM Fluking and added an early evening trip from 5PM to 10PM for Stripers, Blues etc. The Ocean Eagle has been running great Fluke trips all Spring and into the summer, after the Blackfish runs. Greg, Glen and Geoff have had some great success. I caught 4 shorts on my trip on Thursday June 7th (2018). The boat brought in a decent 24 keepers with about 25 passangers, along with other species. It was a very decent trip. The Brooklyn VI has hammered Blue Fish all season. They are definitely back in the local waters. The Brooklyn is running Sundays from 5PM to 9PM for Porgies which is actually a boon for many looking to squeeze in a trip with a workday following up. Otherwise they are running their deep sea fishing 7AM-3:30PM all week and 7PM-Midnight otherwise. I see a lot of smiles coming off the Brooklyn of late. The Marilyn Jean has been running mostly Ling Fishing early in the season, with night time Bass and Blues. 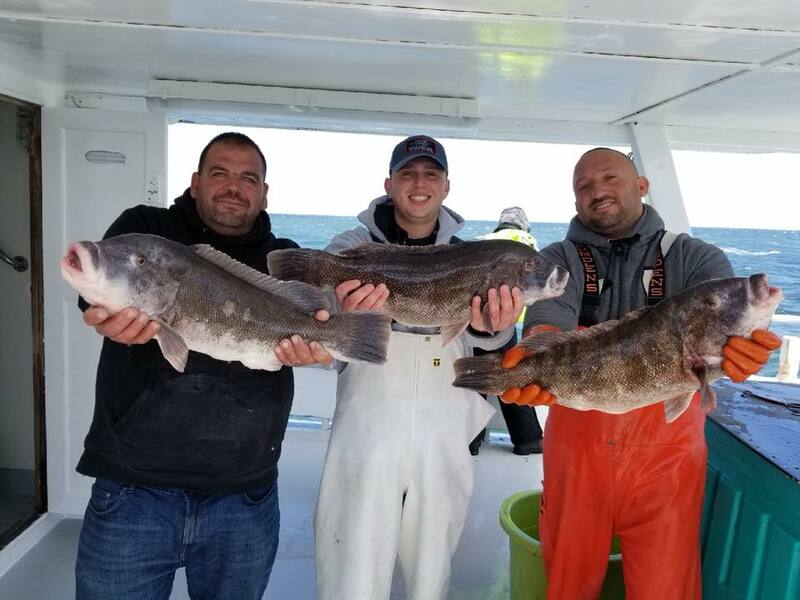 This weekend, the first week of June, we hit a large number of Ling with a huge number of Black Sea Bass that had to be returned to the water, and large blackfish, that also had to be returned. DEC was waiting for the boats at the docks on return. They searched the Brooklyn, Ocean Eagle, Sea Queen and the Marilyn Jean. They didn't find much, but it was unpleasant enough. In addition to DEC, the Federal DEC was also on the docks. Why? I don't know. But law enforcement has been choking the docks all season. The Coast Guard ticketed Frankie, the Caption of the Marilyn Jean for being to close to the Gil Hodges Memorial Bridge, which is a regular spot for decades to catch stripers. This was a $30,000 fine. The presure put on these boats for fishing near the bridge is just morally repugnant. These are the known registered professional boats that not only pose zero security risk, but also are the eyes and ears of any kind of terrorist activities that might be in Jamacia Bay. If anything suspecious was to happen, they would be the first to know. Targeting and manhandlng them by the Coast Gaurd is just flat out wrong. 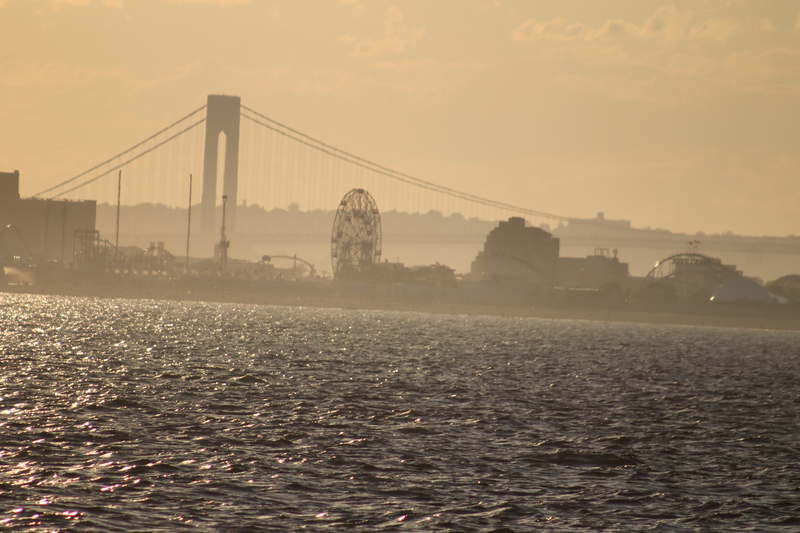 Instead of wasting time harassing the party boat captains for fishing, they could be doing their jobs for once and crackdown on the rampant Striped Bass pouching that happens at night all throughtout the bay by small boats fishing without lights. But the coast guard is just to lazy to tackle real issues when they can harrass a big target like the licensed recreational vessels who won't fight back because they make their living off the water. Fishing starts this week. 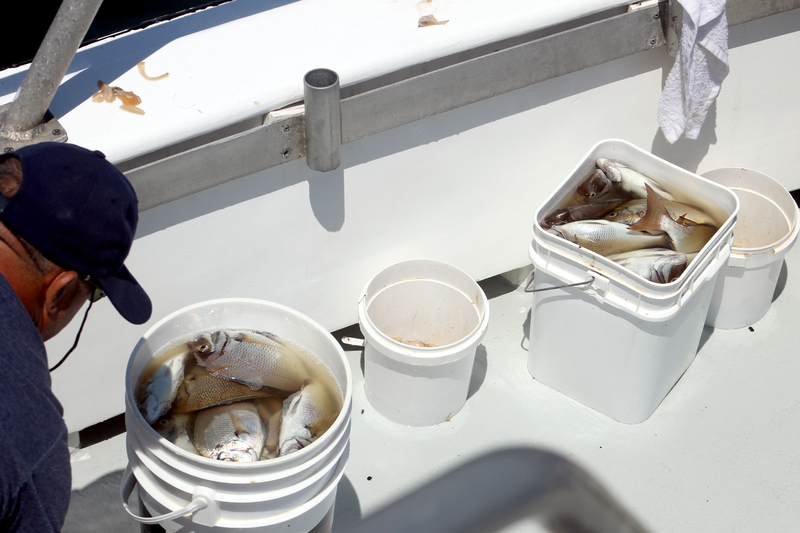 As we have moved into early summer good sized porgies have come alive and we are picking out buckets of them again on the Marilyn Jean IV and the Ocean Eagle. 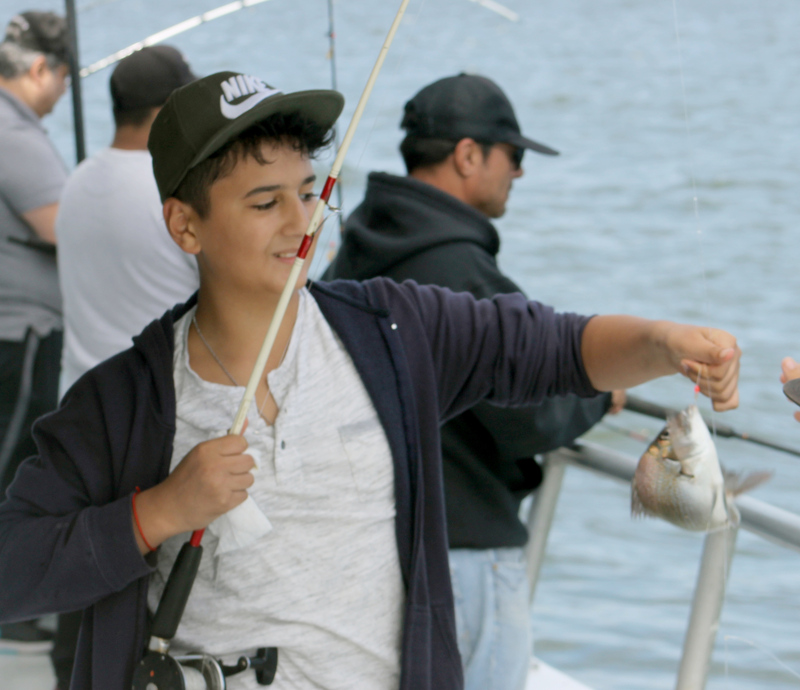 In early July, the Ocean Eagle has pulled out Trigger Fish and Tuesday and Thursdays have had decent Fluke. I spent a good portion of this summer over seas, and not fishing much. 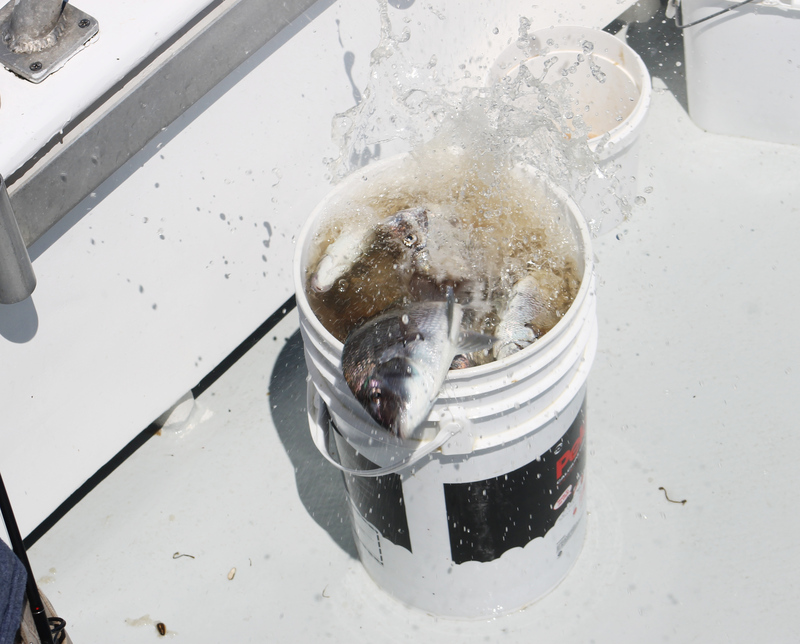 However, when I returned, we were in the greatestg Porgy run in the history of NYC Fishing. The Porgies have been coming over the rail at limits, 45 fish a man, every day like clockwork. In addition, we have been limiting out early in trips, and heading back to the dock with nothing to do by 1PM. The mates have been suffering, filleting fish from 8AM until 3PM. I've seen cooler after cooler of porgies being taken off the boats. I had to buy a new freezer to store all the fish!! With the coming spring and after a rather mild winter with only one cold spot, we started out early fishing in March. 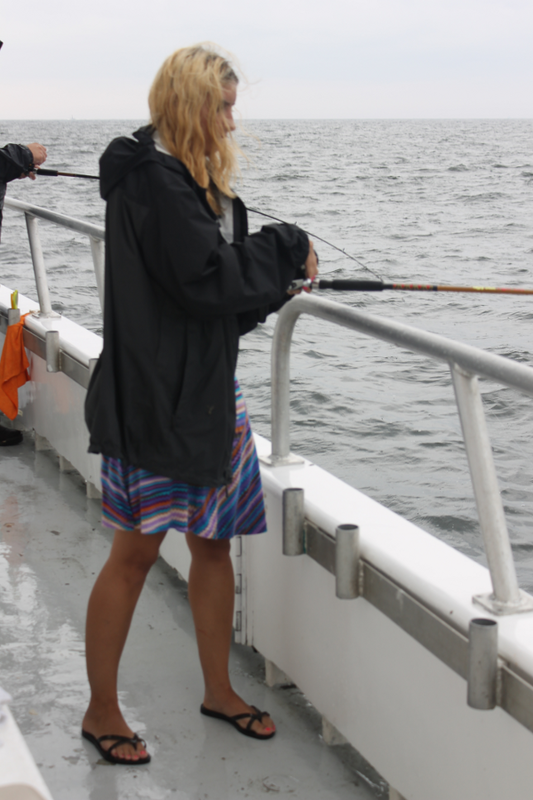 We caught nothing after several trips, hunting for Cod, Ling and even Summer Flounder. The best spring fishing, Black Sea Bass and Black Fish are off limits in New York State. The law is crazy, especially with regard to the Black Sea Bass whose numbers are enormous in New York State waters, and have never been in danger. The main benefactors of this spring moratorium on Sea Bass is the Jersey boats who come and take our fish. 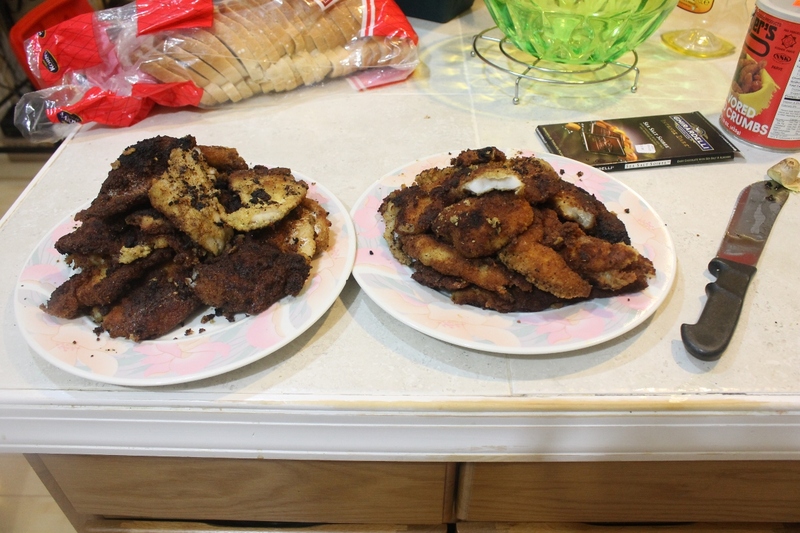 Left with left overs, nothing was biting in the water. But then, on the first week of April, the Striped Bass started to make their presence known. There season didn't open until April 15th, but a lot of catch and release was taking place around the harbor. After the season opened, my Son came into town from overseas and we booked a trip on the single best Striped Bass boat on the East Coast, the Rockfish Charter Boat, run by Richie Colombo, the most knowledgeable Striper Fisherman, probably anywhere... and Felix, the most knowledgeable Mate on the Sheepshead Bay Docks. I've known Felix for years. A soft spoken, kind hearted individual, which hides his tough churning interior, and brilliant intellect, Felix introduced me originally to the Marilyn Jean IV. 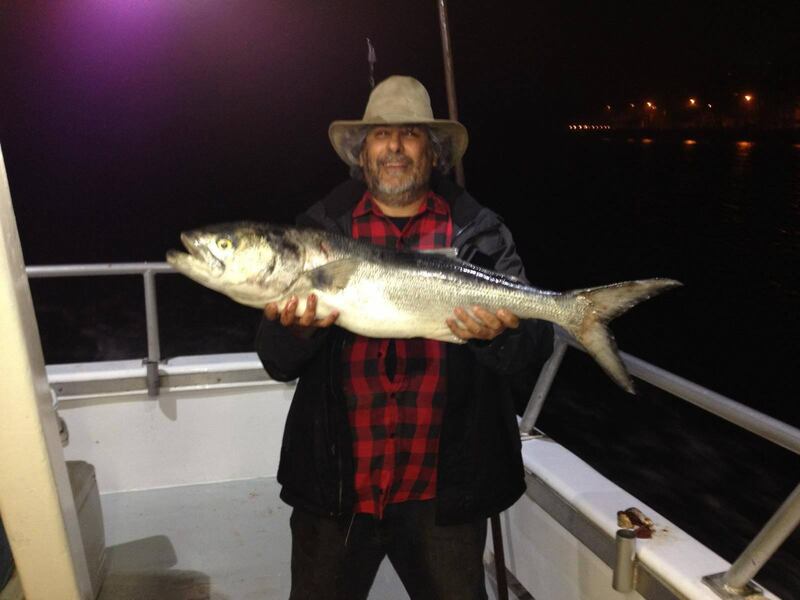 His migration to the Rockfish and teaming with Richie was a natural. He is open to learning, the best knot tier on the docks, a passionate fisherman, who is a master craftsman in all things fishing. He also has a near encyclopedic knowledge of fishing, local waters, technique, and species. In combination with Richie, they make a lethal dual for the fish. 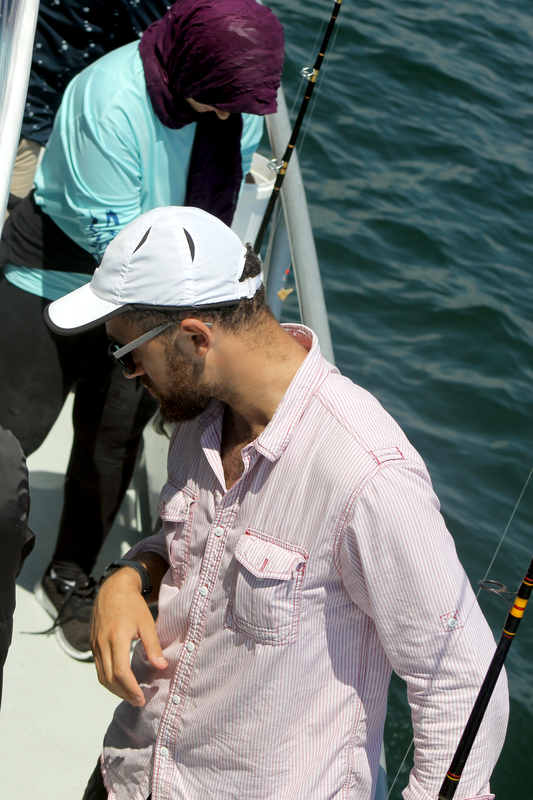 Staked to a powerful small sporty boat, you will (almost) always catch fish on this boat. And big fish. On the Monday in April here is my son and his catch just before Passover. By early May, the weather had warmed up and the fishing situation has brightened. The fishing fleet in springtime has been confronted with an idiotic regiment of closed seasons on non-endanger fish which are popular and good eating from our local waters. 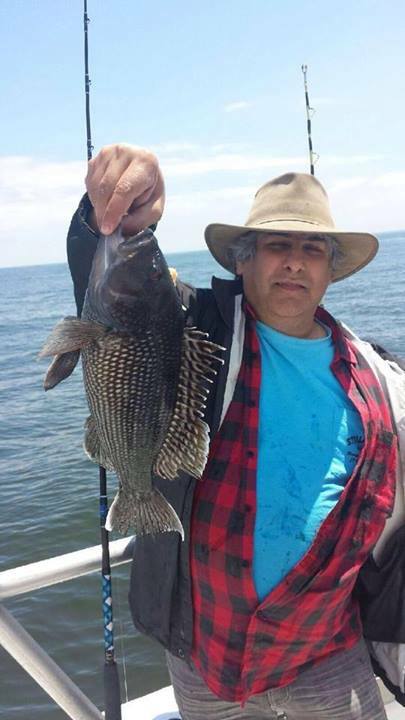 Among the fishing seasons that have been closed in Spring are Black Sea Bass and Tautog. 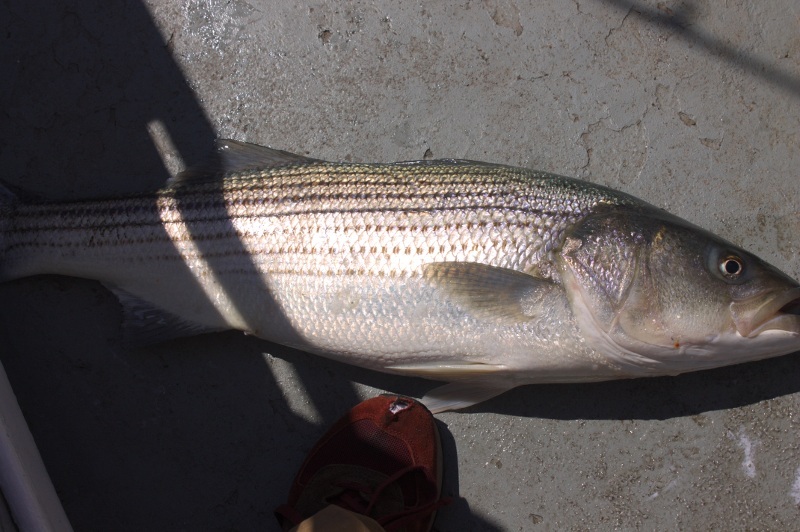 Additionally, Striped Bass are limited to one fish per person. In fact, we have so many Black Sea Bass, that the juvenile fish are a nuisance and in the way then targeting other species. And they are now so abundant in the local waters that they are attracting predatory species, like trigger fish into our waters, where they had never been here before. That has left up fishing for Ling and Cod. When the water warms up, the ling particularly, liven up. We have had some decent success with the Cod. 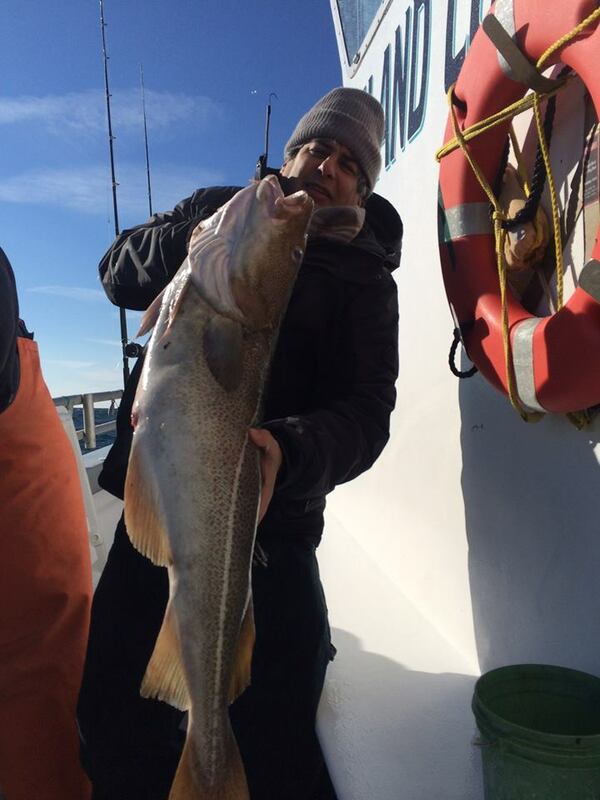 On one trip on the Marilyn Jean IV I hit a very decent Cod, one of 4 that day on the boat, with only 9 passengers. I fish dived into the rocks. I was in the bow of the boat and I couldn't release the line of the rocks. So I passed my pole under the anchors to the other side of the boat, and gently played the fish out of rocks from the new direction. The fish came out, and I hauled in this decent catch. 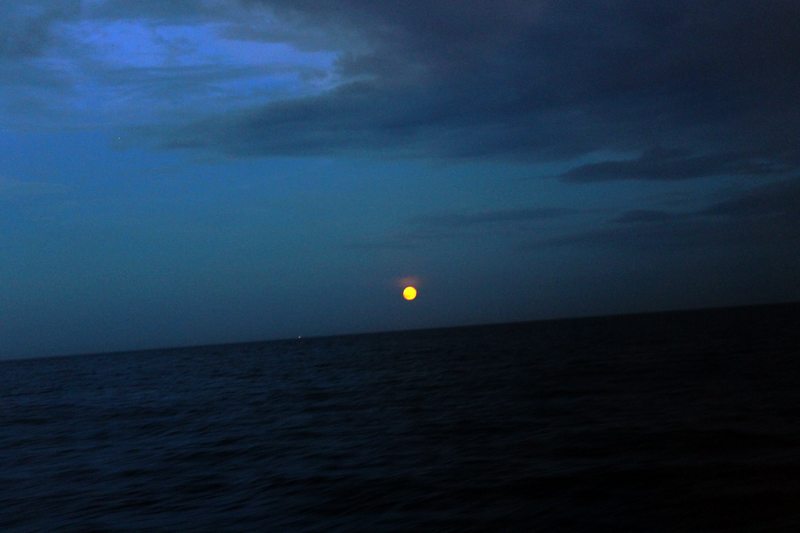 In addition to the Cod Action, night fishing has been filled with Blue Fishing, and very decent size fish at that. It has made for some fun evening. In addition, Greg, on the Ocean Eagle has been hitting Porgies in modest numbers. Greg, Jeff and Glen are senior members of the docks, but in addition, they have the most loyal following based on years of results. 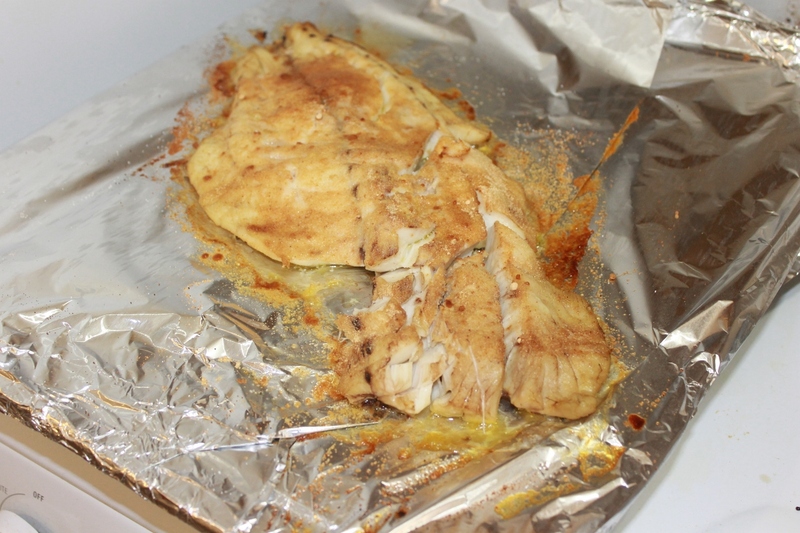 I've been on this boat in near zero degree weather, and the lazy days of summer and always find an exciting take home of fish. Not just that, but they usually go after a diversity of fish, and I usually come home is something tasty I didn't expect. 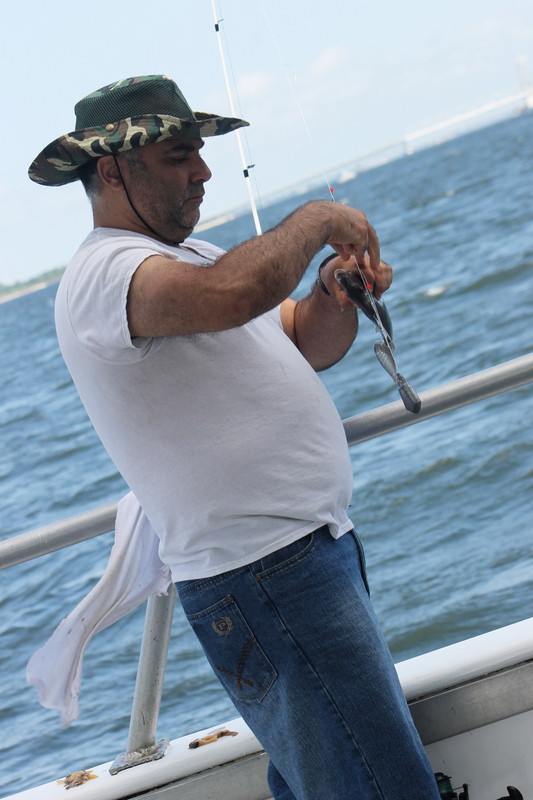 Jeff is on of the best and most experienced fisherman in the greater New York Harbor. He has been generous with advise and a great mentor. Glen runs fantastic ship, and a stocked gallery, and is first mate. 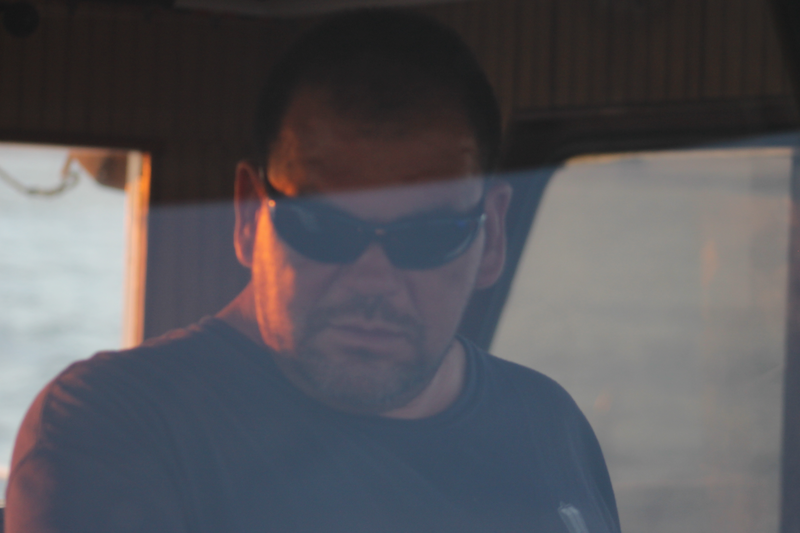 Greg is Captain and has the deepest and most mature book of fishing spots in the city. He is like google maps, but with the fish accurately marked, including ever wreck, hot spot and seasonal location from the Snake River to Freeport. in Snugg Harbor, Rhode Island, where we hit Cod pretty hard. puts them within the same fishing areas as the Monkouk Viking Fleet. It was 19 degrees midday on the day we went fishing, but we did hit large cod. grabbed the pole at one point for extra support. boats and passangers. 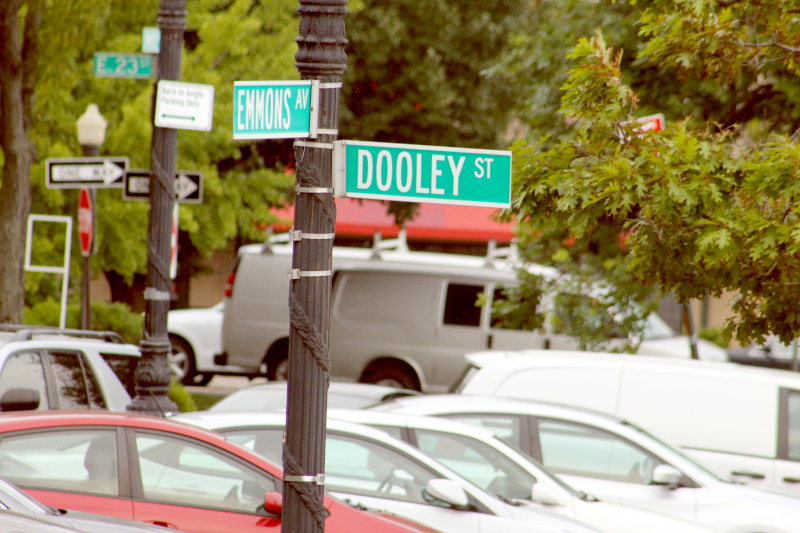 It was a pretty ugly display of local cronyism. arrived into Penn Station at 2:30AM. It beats the hell out of drive. together into is pick up truck with all the equiptment we could load up. take more passangers and headed straight back on a second 48 hour trip. I was glad not to go. week. We arrived at about 9:30PM so I had an hour and a half to kill. personable, making the time waiting very easy. off ther highway exit at 5000 South County Trail, Charlestown, RI 02813. They might well have the best Cod Fish and seafood menu on the East Coast. so try using your eyes and brain to find them off of Route 1.
monster Blues, all over 30 Inches. the best time, which is before the seaon on them opens on July 15, 2014.
out at 8 one time, and catching a few 20 inchers on another trip. On the up side, Captain Dave landed some decent Porgies the other night! should try this boat out, and it is ideal for Newbies and Children! out to fishermen who have a reputation for being quite cheap. experience of the other boats, but an enjoyable expereince and a nice change of pace. 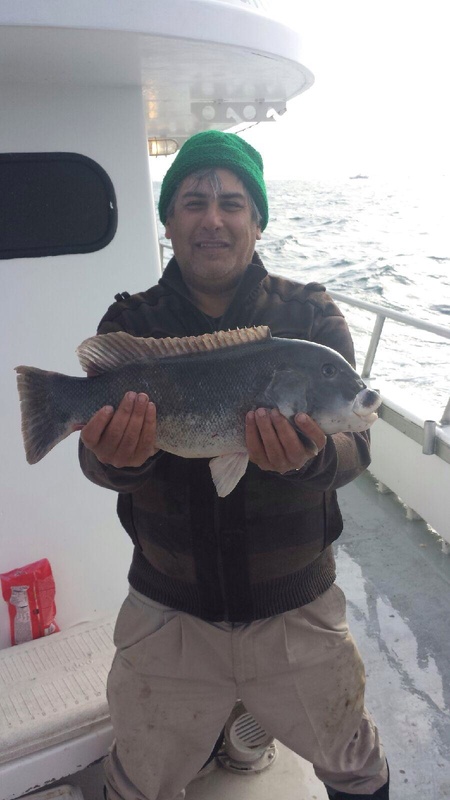 Spring brings RSA Permit Sea Bass fishing to Sheepshead Bay. The best Sea Bass vesel, in fact the only one in Brooklyn, is the Marilyn Jean. Sometimes the Sea Bass have been slow. Other times is has been outstanding. Now as we are reaching the end of the RSA season and moving into the Sea Bass open season, which starts on July 15th, the Sea Bass have really begun to hit the decks hard. At a minimum length of 13 inches, many 18+ inch specimens are show up and the stock looks very healthy with plump male and females showing up on the hook. In late August the local Porgies finally showwed up in number and size. Bell Harbor and Riess Park. We have fished the Marilyn Jean this summer day and night, rain and shine, and the pilots of this vessel put me on the fish every time and have also attracted a very decent group of traveling companions. Tony Pelican, Frank, Felix, Anthony, Joe Joe and Ralph never fail to make good company, and to freely help with a tip or two on how to bring them in. We've had some memorable times. Fishing overall in 2013 has been very decent with all but the Blue Fish having good representations on hooks around the harbor. 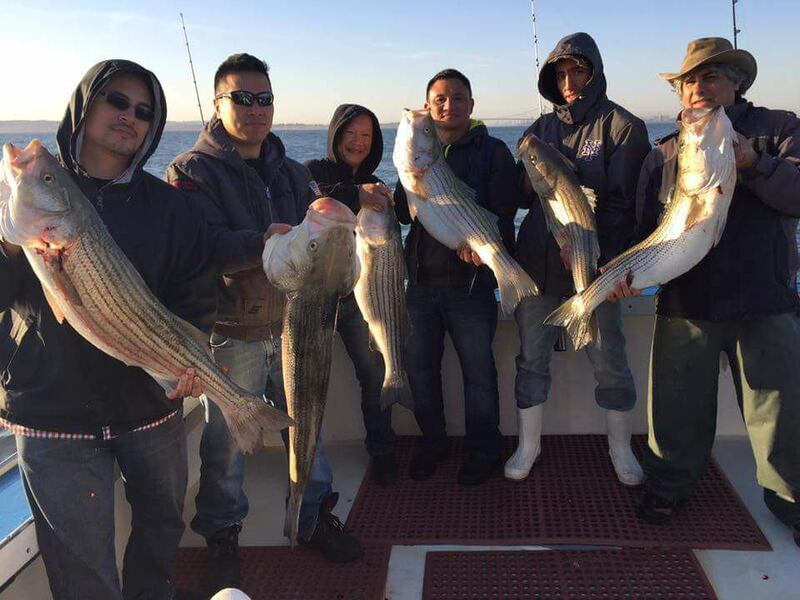 In early spring we saw a lot of striped bass and we brought down 5 keeper sized stripers just on one trip on the Ocean Eagle early in the season. I had to throw three back since the limit is two. The small boat, "The Jet", also did very well with the stripers. 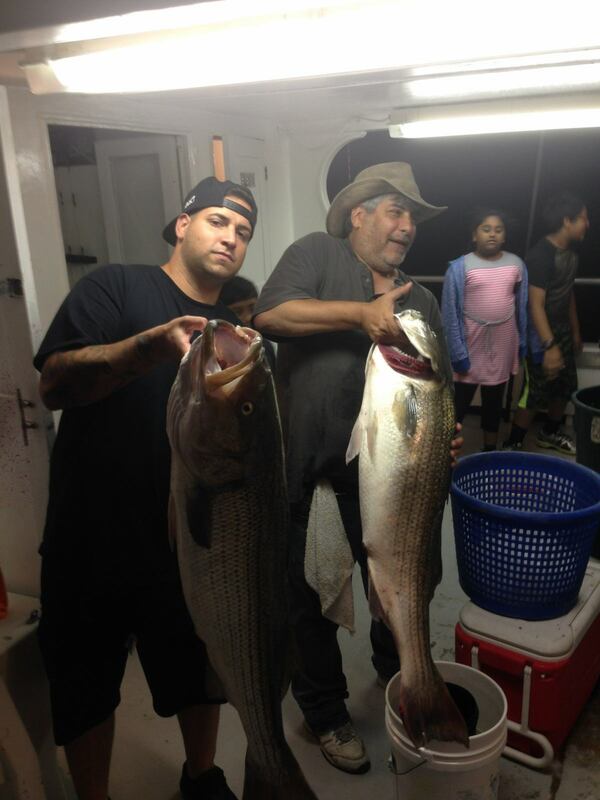 As the season moved on, we continued to hit stripers and Weak Fish, especially on night runs at the Verrazano, and Gil Hodges Memorial Bridges. We had a great job hitting the bass at night with Tony Pelican at the helm of the Marilyn Jean, and Felix helped us catch some king size Bass in Jamacia Bay and around Gateway. 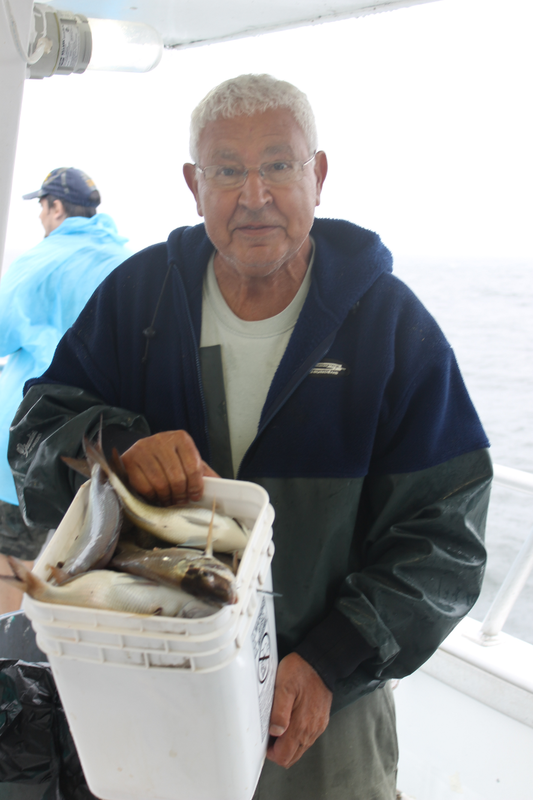 As we moved into mid-June, the big catches was with daytime ling fishing. My fist daytime trip on the Marilyn Jean IV gathered in an astonishing 49 ling, 12 keeper sea bass and an odd porgie. It was the hottest day of fishing I can ever recall. Ling, better known at Whiting about and around town, is a great cousin of the cod fish, kosher, and a great fish for frying in olive oil. A bounty like we had in early June can make gefilte fish through next Passover. As the summer moved in we reached the a perigee full moon which I took pictures of while on the deck of the Capt'n Dave. 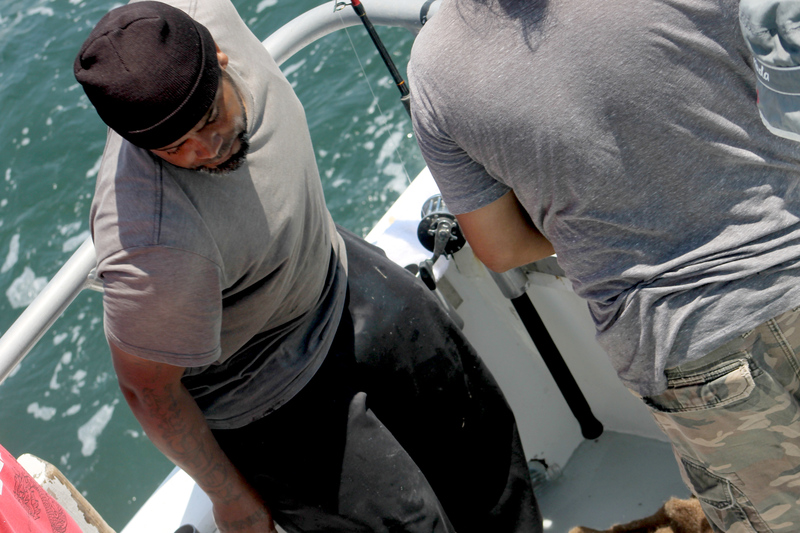 The Sea Bass season has become ridicules and is an example of special interests groups gone wild. 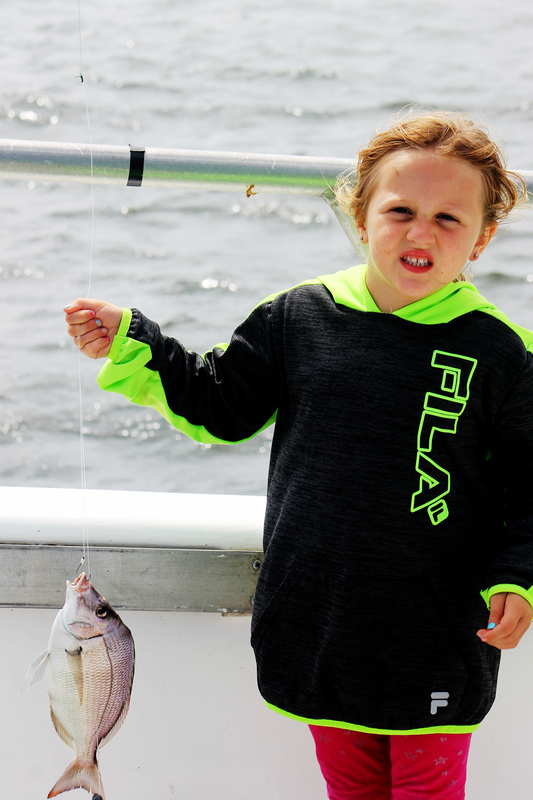 Before the official Sea Bass season, boats with RSA licenses were allowed to fish for Sea Bass, as the season only began July 10th, and lasts until December 31st. One can keep up to 8, 13 inch, sea bass, which is likely the best eating fish in local waters. Bite for the RSA was decent all through June and almost as soon as the season opened, they seemed to have high tailed it out of the area. July has been a good porgy month. Fluke have been off and on and the Blues have not migrated into the area until very late July. In Late July Tony found what he called the Vampire Porgies. These have been enormous, the largest I'd ever seen and have sown up only on night trips to the delight of my good friend Terry who gives master classes in fishing knots before the boat goes out. Vampire Porgies have continued for at least 2 weeks through the end of July, 2013, when finally the Blue Fish had started to arrive to the relief of many of the Blue Fish boats in town, including the "Brooklyn". 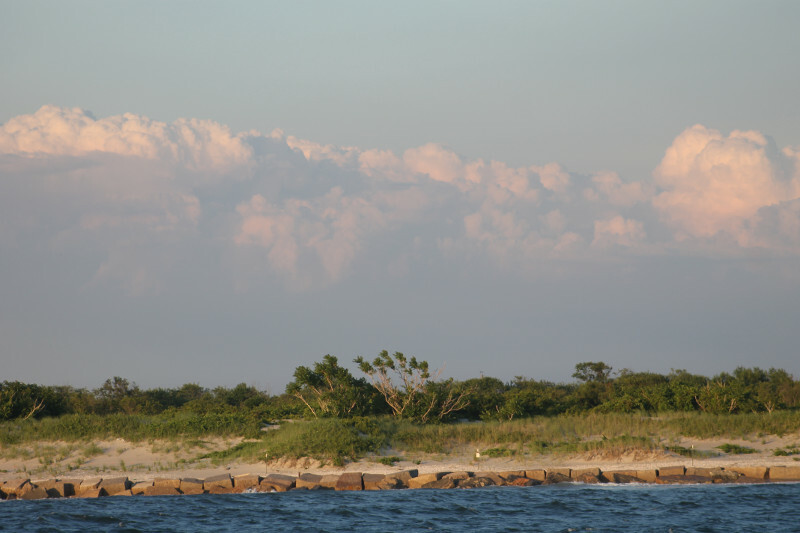 While the Sea Bass and Ling seemed to reach a lull with the new moon, the Ocean Eagle found some good trigger fishing near Sea Bright, NJ, in addition to unintentional catching of eels, HUGE eels. In late June, the Marilyn Jean IV and the Jet had engine overhalls. We fished for a couple of days out of the much smaller Capt'ns Lady. I caught an American Eel of over 40 inches on the Marylin Jean and one nearly 35 inches on the Ocean Eagle. I gave both away. Eels are not kosher and we don't eat them. Usually I through them back but these two were so large that I gave them to other families. With the coming of the Blue Fish in the last week of July, and after practicing Jigging and Casting for a week, I wandered to the Flamingo, a blues jigging boat that leaves from the Gerritsen Creek at the Sheepshead Bay Parking Lot. My fishing was terrible, but I did collect two cocktail blue fish and lost 2 others at the rail. Rob, the mate on the Flamingo, is part of the ownership family who has been at it forever. The boat was very impressive as an older model, built with Mahagony and rock solid and about as smooth in the water as you would ever expect. I loved the boat. 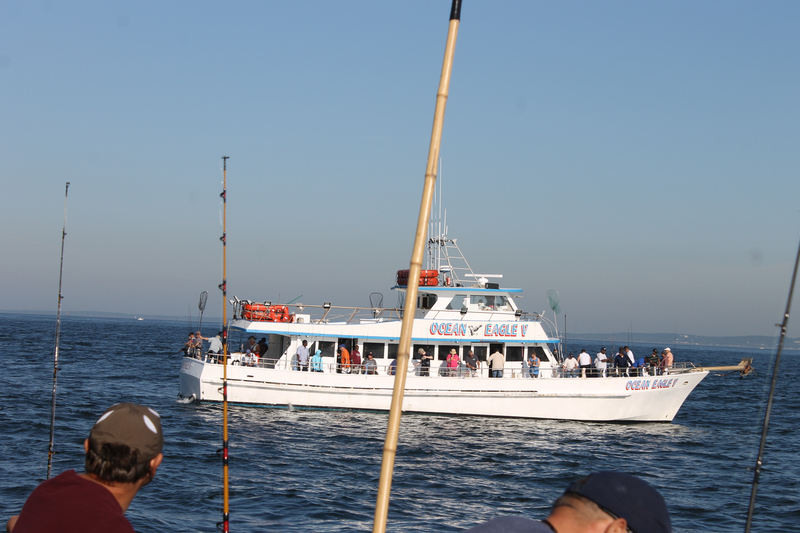 And we ran into a large school of dolphins on the trip not far from Sandy Hook and in sight of the Verrazono Bridge. Now, as August comes, we continued with the good Porgie fishing, with way too many dogfish. But everyone did catch this week and even my daughter Shani went home smiling after she nailed three very good Porgies on a rainy Thursday morning. Better fishermen than I seemed to pull Porgies out of the water almost at will. Some of them were the largest I'd seen in the season, even bigger than the Vampires. But overall they were of normal Porgie size range. Here is the The Summer 2013 Photo Gallery. It has a few Boat goddesses, and more on it. 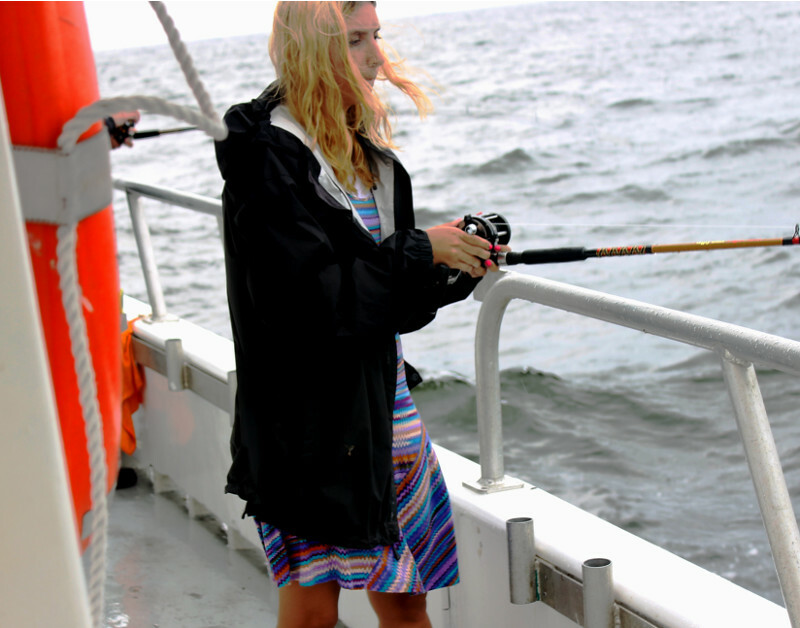 As we moved into fall, Striped Bass and Black Fish season approached. 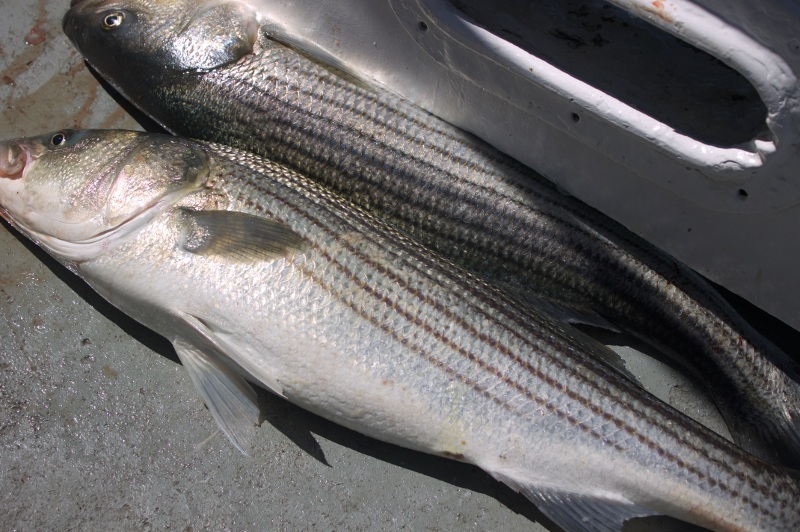 Although off to a slow start, Striped Bass was hammering on the small charter boats for an early run in October, before slowing down in November. The fish seemed to move off to Fire Island, and now in mid and late November have moved back into the NYC Harbor area. Finally, we reached Black Fish Season in Mid-November when the fish really began to hit hard. 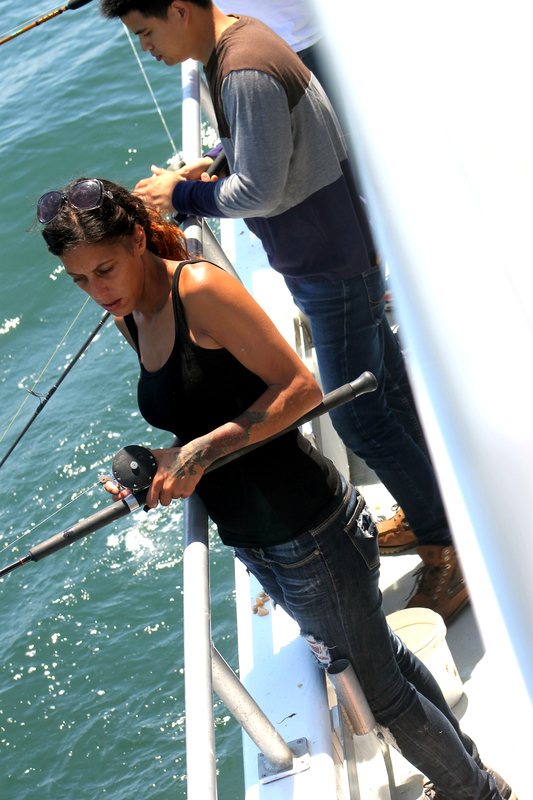 Most commonly we fished for them off the New Jersey Shore line. Both the Ocean Eagle and the Marilyn Jean IV have stayed with them this late season. There is a limit of 4 Black Fish per man in New York. I have frequently limited out with some huge fish in the mix. 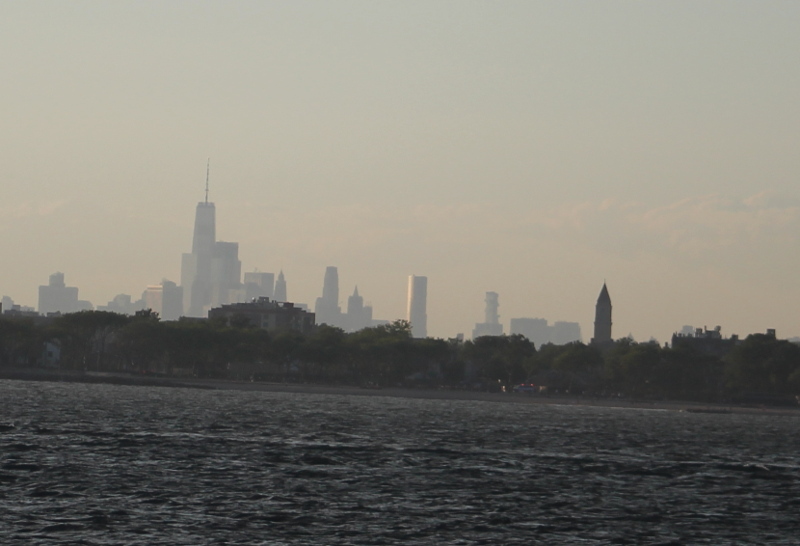 Here is a link to the History of Ambrose Channel, one of the major features of New York Habor.